Technology is extremely important in today’s world and TechnoKids Japan, as a Ganbatte 365 project, sponsored by The Japan Association of New York, will start an initiative in October to teach the children in the Tohoku region how to use technology in today’s world. 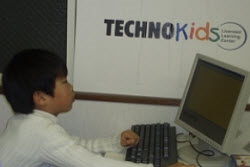 TechnoKids Japan Y.K. is working with Ganbatte 365, an NPO in Japan, which is documenting the status of the reconstruction of the Tohoku Region after the March 11, 2011 earthquake and tsunami. Short videos of the many reconstruction projects are created and shared around the globe, via social media and digital media. The TechnoKids curriculum will be used with children from ages 4 to 9, to develop essential technology and English skills. The first project opens October 5, 2012 in Shiogama in Miyagi Prefecture. The local school board has donated the classroom where classes will be held on Friday afternoons and Saturdays. Classes are being offered to the children free of charge and will run until July of 2013 when they may be extended to Tokyo as well. A second location in the Tohoku region will begin in January 2013. Local staff will be hired and trained to give these classes.